I live in Portland Maine, a coastal city. 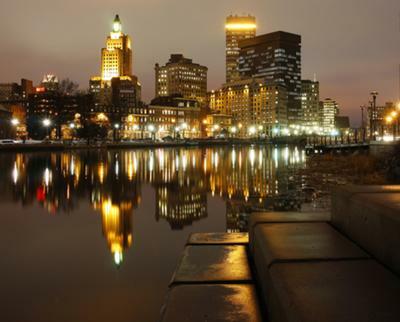 I'm traveling to another coastal city, Providence, Rhode Island. My family is all there and so are friends. I am going down for vacation for 4 days and 3 nights. I'm staying with my friends Nick and Alton, and I'll be checking out everything I've missed in the last year; my 4 year old daughter, my mother and step father, cousins, brothers and sisters. I'm catching up with old friends and making new ones. Going to a Goth / Industrial band concert in North Smithfield and presenting the band on stage with hand painted portraits of the band members, and I will also be hitting the nightclub scene at a new club that just opened. I'll probably even swing by a few malls and shops, and hit the beach in a brand new bathing suit. Hey Danielle, Thanks for sharing. It sounds like you've got a fantastic vacation planned and there's never any shortage of fun things to do when you're in Providence. Feel free to upload your hand painted portraits to your page here and showcase them to the rest of the world. Beach Trip Checklist page for lists of beachy stuff to pack for vacation and some great beach related links. Providence is home to the world famous Roger Williams Park which is a 435 acre park, a wonderland with something for everyone; A Zoo, Museum, Botanical Center, Carousel, even a Casino dot the grounds. Come back and let us know all about it. You can upload as many of 4 photos of your vacation and send your friends and family to see your page. It's a great way to send them all a note and let them know how much you appreciated the time you spent together. Return to Where in the World are You Going?.